Turns out you can share more than photos and “likes” on Facebook. As TIME reported last week, you can even share breast milk. Eats on Feets, a play on Meals on Wheels, is a new group started by Phoenix midwife Shell Walker. The group uses Facebook to help connect women and their babies with supplemental breast milk from other mamas. The group is popular and growing fast. Emma Kwasnica, a mama and breast-feeding activist has taken the group global and the Eats on Feets network now spans all 50 states along with 22 countries. More than 70 breast milk matches have been reported. Mamas and babies who need breast milk help have acquired milk in bags and jars, but also sometimes directly from a real-life breastfeeding mama. However, with breast milk for the taking on Facebook, the question of safety always pops up in some circles. I mean, as a kid, you’re taught not to share drinks or hairbrushes, so should you really share breast milk? Some people even get freaked by breast milk soap and you’re not even drinking that. With this in mind, read on to see if sharing breast milk on Facebook is a safe and smart idea. Some women have trouble breastfeeding either because they don’t get support or because they have an actual medical reason that limits breast milk production. Even post-partum depression can cause breastfeeding troubles. Sharing breast milk can provide these babies with the same illness and allergy protection plus health benefits that breastfed babies get. It’s tough to find a healthy, organic formula. Breast milk sharing has a long history. Wet nurses were common for years and in 2007, TIME Magazine even released an article on the reemergence of wet nurses. In the age of HIV, other diseases, and mamas who may drink or smoke, it’s hard to be sure if shared breast milk is actually safe. While milk banks screen and pasteurize donated milk, groups like Eats on Feets or your breastfeeding neighbor don’t do so. Sharing breast milk does mean a risk, no matter how slight, of your baby being exposed to something less than beneficial, like an illness or someone’s glass of wine. 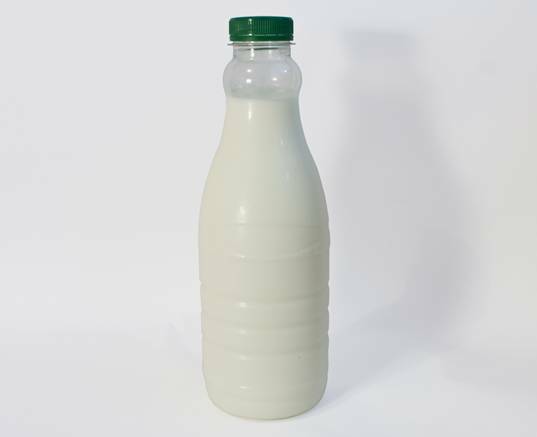 The World Health Organization (WHO) says unpasteurized donor milk is acceptable if a mother’s own supply won’t suffice AND if the donor milk is disease-free. It’s the disease-free part you’ll have trouble proving if you get breast milk from another mama, not a milk bank. Keep in mind that Eats on Feets does offer information about risks and precautions, like flash-heating the milk. One study does show that a simple flash-heating method can kill bacteria and HIV. Breastfeeding is healthy for mamas too. If you use donated breast milk, you miss many health benefits. Breastfeeding is an excellent bonding tool. 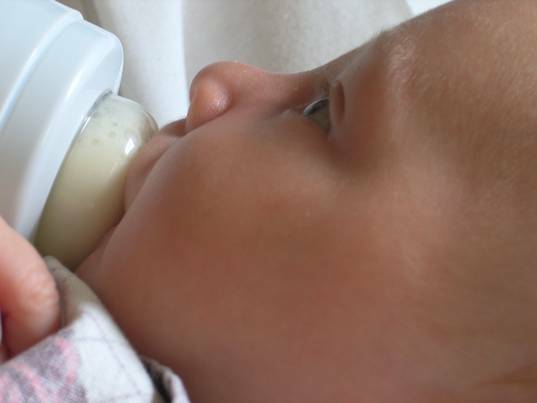 That’s not to say you can’t bond well with a baby if you bottle feed or if someone else breastfeeds your baby, but using breast milk from another source doesn’t offer the same bonding benefits. In my opinion, the biggest con of using breast milk from a milk bank or another mama, is that sharing breast milk takes focus away from what this country should be focusing on – better breastfeeding education. This isn’t about forcing women to breastfeed or dissing groups like Eats on Feets, it’s about the fact that most women can breastfeed if they get the proper support. Many women give up on breastfeeding because it’s, “Too hard and no one helps” or because a doctor or nurse told them that they don’t make enough milk. Research backs up the fact that most women can breastfeed. The WHO has a list of reasons why you can’t or shouldn’t breastfeed and the list is slim. Only about 4% of women experience actual primary lactation failure. Primary lactation failure means that no matter how much support you get, you probably won’t ever make enough milk. Additionally, The World Alliance for Breastfeeding Action (WABA) even notes that women can and should breastfeed though a crisis, not supplement. We don’t need research to tell us that most women can breastfeed though. The human race survived long before formula. Consider this, the CDC Breastfeeding Report Card for 2009 shows that just 13.6% of women are still exclusively breastfeeding at 6 months, to which The Feminist Breeder says, “If only 13.6% of us could make enough milk, the human race would never have survived.” In The Politics of Breastfeeding, author Gabrielle Palmer notes that “insufficient milk syndrome” is a new phenomenon in industrialized countries, due in part, to the pressure families get from formula companies. Breastfeeding can be hard. However, in every single case where I’ve heard a mama say, “I don’t have enough milk” or “I can’t breastfeed” and then she gets support, she magically will produce enough milk and be able to breastfeed. Funny how that works. I do applaud groups like Eats on Feets and milk banks, because they help get breast milk to babies, but first I’d like to see much more time invested in breastfeeding and family educational priorities than milk sharing, including better maternity leave laws, breast pump education, more lactation consultants in all hospitals and better access to postpartum doulas; all of which can improve breastfeeding rates. Working on these issues will help more mamas and babies in the long run then debating the safety of shared breast milk. What do you think? Is sharing breast milk via Facebook a good idea or too risky? Turns out you can share more than photos and "likes" on Facebook. As TIME reported last week, you can even share breast milk. Eats on Feets, a play on Meals on Wheels, is a new group started by Phoenix midwife Shell Walker. The group uses Facebook to help connect women and their babies with supplemental breast milk from other mamas. The group is popular and growing fast. Emma Kwasnica, a mama and breast-feeding activist has taken the group global and the Eats on Feets network now spans all 50 states along with 22 countries. More than 70 breast milk matches have been reported. Mamas and babies who need breast milk help have acquired milk in bags and jars, but also sometimes directly from a real-life breastfeeding mama.